4. Wooden pallets can be very versatile as room dividers. For more amazing ways to upcycle wooden pallets, check this article out. 9. Build yourself a secret doorway in a bookcase to hide the other parts of the space. To see more amazing secret doorway ideas, check here. 13. Chicken wire is good for more than caging up your feathered alarm clocks. With a little creativity, you can use it to set apart spaces in a room without completely blocking the view. See how here. 14. Why throw out old doors? They are made for separating rooms! A little paint and some hinges and you have some creative and very sturdy divider options. Here’s the DIY. 15. Garlands may not be the most solid dividers nor do they provide much privacy, but the visual might really work well in the right space. Check out Curbly and A Beautiful Mess for the tutorials. 16. This DIY shows you how to recycle vintage LPs into a crafty room divider. 17. 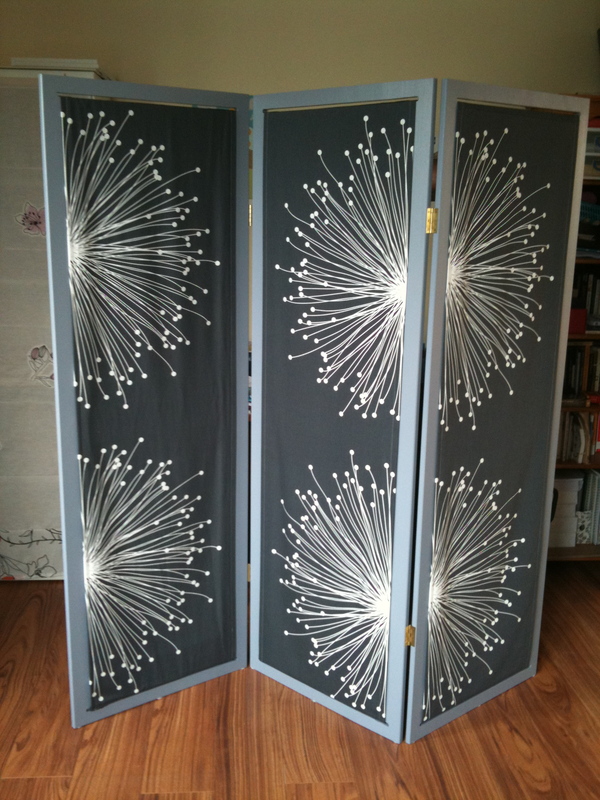 Why not create your own dividers out of wooden frames and carefully selected fabric? It’s easier than you think. Here’s another great tutorial. 18. Picture wire and cafe clips make for some easy hanging division work. Here’s how. If curtains bore you, there are ways to get fancier. 20. IKEA’s Orgel paper lamps make for dividers that add ambience in low lighting. Get the directions here. 23. Ceiling hooks make for great ways to hang simple screens or panels. Check the DIY here. 25. And here’s a DIY for creating room dividers from 4 Ikvar side units with piano hinges and a little time and effort.